The player is now contesting the Asian Cup and would have to wait until February to be able to count on him. It would be the substitute of Ibai Gómez. The soccer player chosen to replace Ibai Gómez is Takashi Inui. Sergio Fernández, Sports Director of Alavés, has contacted Betis and the midfielder to close the operation. The president of the Vitoria club knows him from his time in Eibar, where he coincided with the Japanese. Inui is not playing much at Betis and his desire is to pack. The Eibar, precisely, would also be interested in their services but Playing in Alavés is now much more attractive as it occupies fifth place in the standings. In addition, his ownership would be practically assured. Sobrino is a striker converted at midpoint and Burgui is facing the last commitments but now plays due to the injury of Jony, who has a strong sprained ankle. If the Japanese arrive, he would have enough presence in the team according to all the indications. And the soccer player fancies. Find two media -one of a more defensive nature in anticipation of the departure of Dani Torres- and another of three-quarter line that defend yourself in the band - after the goodbye of Ibai - now are the priorities. The rest of the lines seem well covered and, barring an unexpected offer, there will be no more incorporations. The arrival of the winter market pump was Marcos Llorente, which was almost closed with Real Madrid, but its evolution within the Solari team since the game from Rome, has disabled all movements. He even intended to get that loan as a hitch car to convince Ibai to stay at least until June. The arrival of a Japanese player in Vitoria would mean the landing of Japanese journalists in the Alava capital, the possibility of opening market in one of the most powerful countries in the world economically speaking and the search for Asian sponsors. The Alavés, in addition, has an active agreement with the Japanese Kagoshima and have an international player in this country, would boost that bet. Inui is currently playing the Asian Cup and is concentrated with his selection. 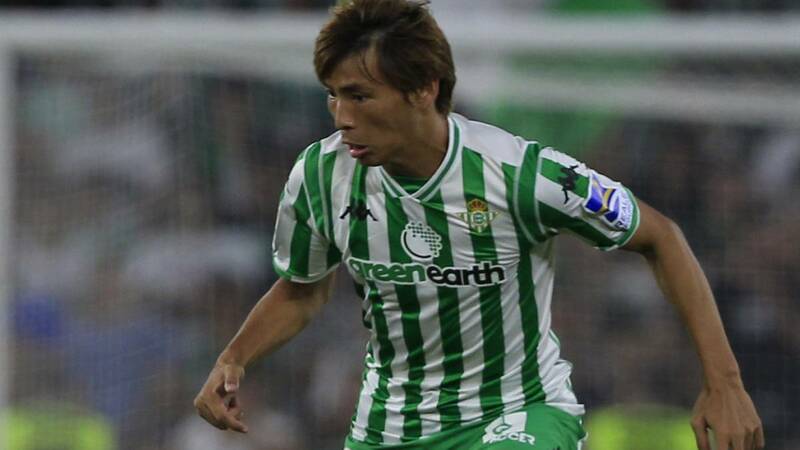 Japan can go very far and, in case of closing the loan with Betis (it is already assigned in Vitoria Brasanac belonging to the green and white) would not arrive until the first week of February.